Fall color forecast looks good… maybe. A long autumn with sunny dry days and cool dry nights can make for a colorful fall. Autumn in Minnesota is a time of cruel ironies. Any Vikings fan can tell you that. One of autumn’s cruelest ironies is that the beauty of autumn is quickly replaced with the general crumminess of winter. And so, we have all learned to appreciate the fleeting beauty of the changing of the autumn leaves while it lasts. But what causes the annual display of color, and can we predict the intensity? 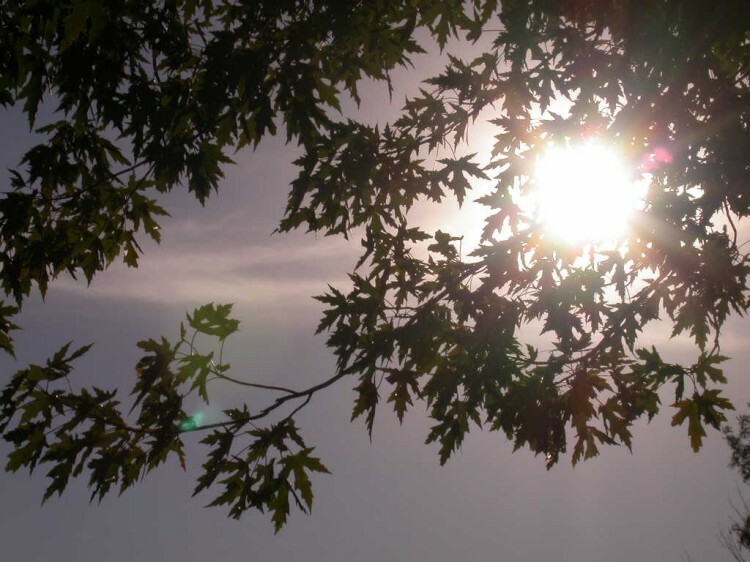 Most people know that trees and other plants make use of a variety of chemical pigments to capture sunlight and use the energy to convert carbon dioxide into simple sugars. Green chlorophyll is the pigment we are most familiar with, but there are other pigments in leaves as well. Carotenoids and xanthophylls, for example, are responsible for the yellow in bananas and the orange in pumpkins. Each of these pigment molecules is colorful because it is designed to absorb light in a particular range of wavelengths. During the course of the summer, the trees make use of their arsenal of pigments to absorb light of many different wavelengths, just like your car antenna intercepts different frequencies of radio waves. Although all of the pigments are active, chlorophyll is by far the most abundant, so its green color masks the yellows and oranges of the other pigments. When autumn arrives, steady changes in day length stimulate the tree to begin reclaiming the energy that it has invested in the pigments of its leaves. Since chlorophyll is the most abundant and most energetically expensive of the pigment molecules, it is broken down and “sucked” out of the leaves first, finally exposing the yellow and orange pigments. Carotenoids are much more stable compounds than chlorophyll, so the yellow and orange colors can persist throughout autumn. At the time the chlorophyll is breaking down, special cells located where the leaf is attached to the tree (the abscission zone) begin the process of shutting down the flow of nutrients from leaf to tree, sealing the leaf off from the tree. In a perfect world, all of the pigments and sugars would be reclaimed before the leaf is sealed off but, thankfully, it doesn’t happen this way. Mulberry leaves have a low sugar content and change from green to yellow. Maple leaves have more sugar and display more reds and purples. If a lot of sugars are left stranded inside the leaf, they can react with certain leaf proteins to produce yet another class of pigments – the anthocyanins. Anthocyanins are responsible for the red in apples and the purple in grapes. But, anthocyanins are only produced when the sugar content is high (such as in maples) and when there is lots of sunshine to help catalyze the chemical reaction. To complicate matters further, anthocyanins are free-floating in the sap of the leaf and are sensitive to the pH of the sap. If the sap is quite acidic, the anthocyanins will display a red color. If the sap is less acidic, the color will be more purple. Bright sunshine and cool temperatures both act to break down cholorophyll quickly and promote the formation of anthocyanins. (But freezing temperatures can kill leaf tissue and cause early leaf drop). Dry weather also helps with fall colors by increasing the sugar concentration in the sap. 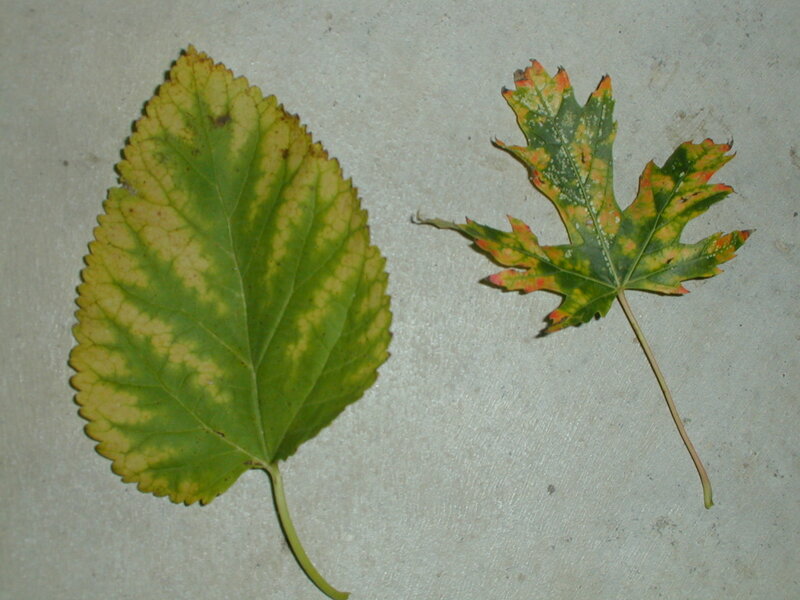 (But, severe drought conditions can also cause premature leaf drop). In summary, the best autumn colors are produced when lots of dry sunny days are followed by lots of dry and cool (but not freezing) nights. So, will this be a colorful autumn? I can confidently predict, “maybe.” And I’m as sure of that as I am about the Vikings winning the Superbowl.